August 26 – October 9, 2016. An all-female, all analog art show at Land in Portland, OR in August-October 2016. Curated by Susie Ghahremani. Free to attend, all ages. Flora hosts an eclectic combination of fine artists, illustrators, designers, and crafters from Chile and Vancouver to Brooklyn and Los Angeles including several unique Portland-based artists and illustrators: Julianna Bright, Meg Hunt, Courtney Knight, Anisa Makhoul, and Betsy Walton. 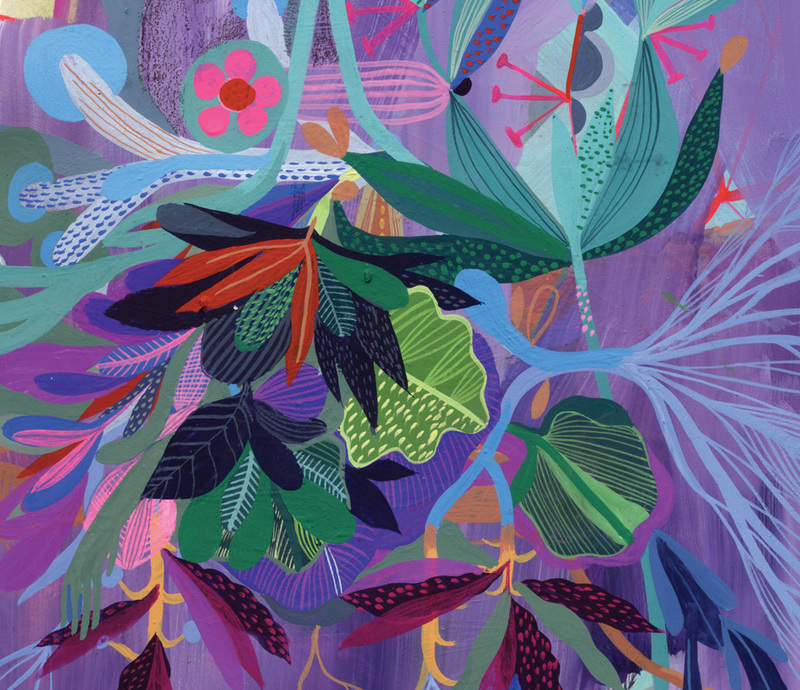 Contemporary New York artist-illustrators Coral Silverman, Dingding Hu, Caitlin Keegan, and Jing Wei exhibit signature styles and fresh experiments alike. Additionally, award-winning children’s illustrator Maya Hanisch (Chile), sculptural artist Hiné Mizushima (Canada), watercolorist Amy Ross (MA), stationer Keiko Brodeur (CA), illustrator Shirley Jackson (UT), miniaturist Evah Fan (CA), and curator-illustrator Susie Ghahremani (CA) explore a wide range of approaches to the unifying theme of the show: plant life.